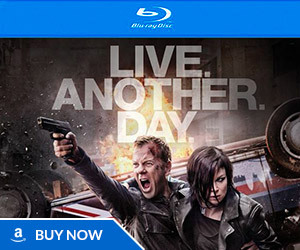 FOX will be holding a panel for 24: Live Another Day on Monday, January 13th at the 2014 Television Critics Association’s Winter Press Tour in Pasadena California – it’ll be the first subject of their presentation. 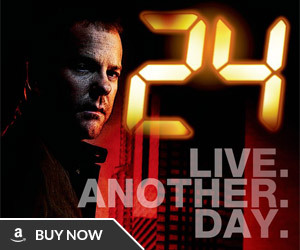 The 24: Live Another Day panel will discuss the revival of the show and the new twelve episode format among other things. 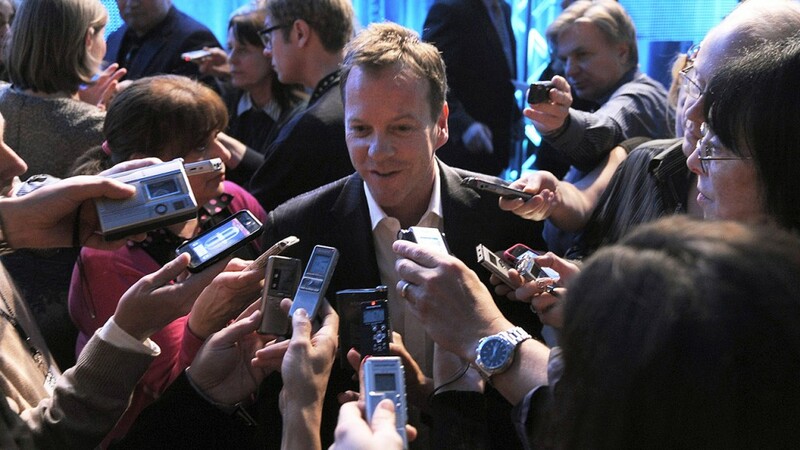 Series star Kiefer Sutherland and executive producer Howard Gordon are both scheduled to attend. We’re likely to get some kind of fresh 24: Live Another Day information out of this, whether it be story tidbits or casting scoops, so get excited for next week! And just two weeks after the TCA panel, filming will officially begin in London with Jon Cassar directing the first two episodes. Here’s a bunch of high quality photos from the 24: Live Another Day TCA Panel straight from FOX. Kiefer Sutherland, Mary Lynn Rajskub, Howard Gordon, Evan Katz, Manny Coto, and Brian Grazer were in attendance. For much more TCA news check out our 24: Live Another Day TCA 2014 Panel Roundup post. I have been waiting on this forever!! Still gotta wait on the filming but will happily TRY to wait patiently on the premiere!! 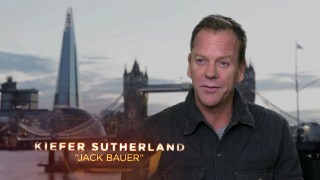 I love love Kiefer Sutherland and Jack Bauer!! To this day I watch my 24 seasons on DVD over and over again. I recall they signed a 10 season contract when the series first started, but because of the writers strike we lost 2 seasons. (10 year contract to complete the 10 seasons). So because of the 2 seasons we lost we deserve to have some kind of 24 back on TV to make them up. I can’t wait!! YES!!! There’s no way they make a panel and don’t give us some scoops. @Sandra, I’m not sure where you either heard or read that report about the ’24’ cast signing up for 10 (!) seasons in advance, but it’s simply not true; the standard practice in American television is to sign up for five seasons in advance, and then if that series is renewed past that fifth season, the actor(s) in question will negotiate accordingly (usually for three more seasons, it’s the salary that is more often than not the focus of negotiations)… such a thing happened with Kiefer Sutherland in 2006, whose initial five-season contract for ’24’ was renewed for three additional seasons that same year, up to and including an eighth season. So don’t worry, you didn’t lose any ’24’ because of the writer’s strike, if anything, you actually GAINED more ’24’ as you got ‘…Redemption’ as a result of that industrial action by the WGA! @Gerry Mander – I’ve never heard any TV series having been signed on for five seasons in advance. Does it make sense for a network to buy a pilot for a series they have no idea will be any good or have good enough ratings and then sign them up for FIVE seasons? Standard practice for Network TV is commission a Pilot, then if ratings/interest/reviews are good they’ll give it either a 13/22 episode order, then order one season at a time unless the series really catches on in which case they might order 2 or three series at one time. There are exceptions when a Network will immediately order 13 or 22 episodes (either because the profile of the show is really high, for example, if a movie star is involved, or is based on a previous property like NCIS: LA). 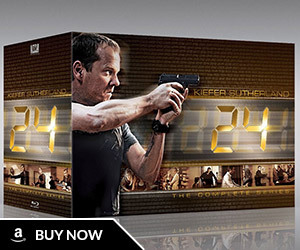 With 24, I believe that after the super popular and critically acclaimed season 5 (they won the Best Drama Series Emmy that season, you’ll remember), they ordered a couple more seasons but up till then they’d been on a “one year at a time” contract. The first season of 24 was initially picked up for thirteen episodes and then received a full season order a few episodes in (shortly after Kiefer won the Golden Globe I believe). The following seasons were renewed on a yearly basis until Season 5 exploded in popularity and then FOX quickly signed Kiefer on for three more seasons making him the highest paid actor on TV. That is true as well, a lot of the core creative team on “24” signed multi-year contracts. Long term contracts are probably less common for the actors on this particular show considering how many times the cast was rotated, but I know at least Mary Lynn Rajskub had a two year contract (she was signed on for a ninth season). I’ve never read anything about Kiefer Sutherland’s initial contract but it’s possible. FOX sure seems to love working with him (and with good reason, he’s awesome!). Take for sure that this monday will have a LOT of info about the developing and story of this new season of 24… can’t wait for it!!! Le Kief is looking very pleased with himself in that picture haha! Finally! About time they get this going. So excited and can’t wait!! It would be nice if there would be live streaming of this panel on Monday. I have been waiting for that !! So happy !!!! will this be on tv? Hi 24 spoilers, I hope you’ll think about the fans abroad and post the interview on your site Thanks Hugs from France ! This panel won’t be live streamed or aired on television, and only full-time press / journalists can attend. The press will be live tweeting it and writing articles though, and all that information (and photos) will be rounded up and posted here. Does anyone know whereabouts specifically in London 24 will be filming?